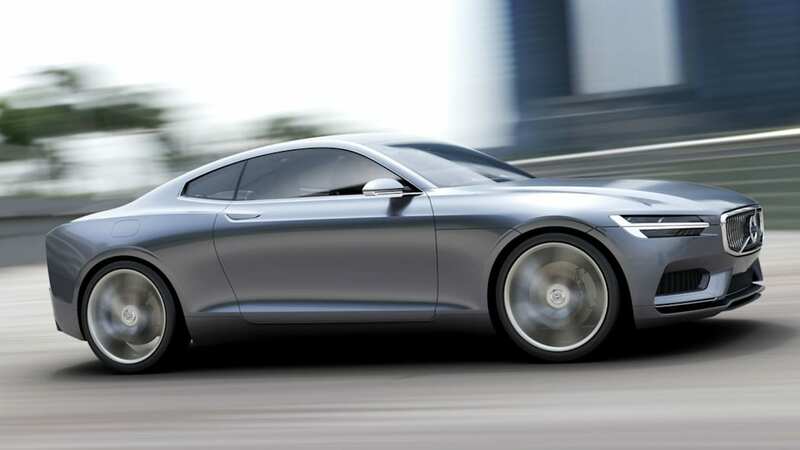 Volvo is calling the Concept Coupe its "next-generation P1800." 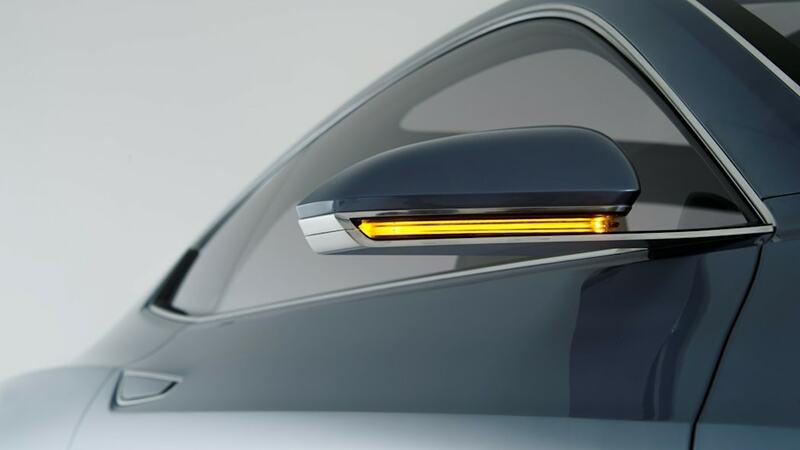 Up front, T-shaped running lights bracket what the brand calls a "floating grille" with a "distinctive iron mark." 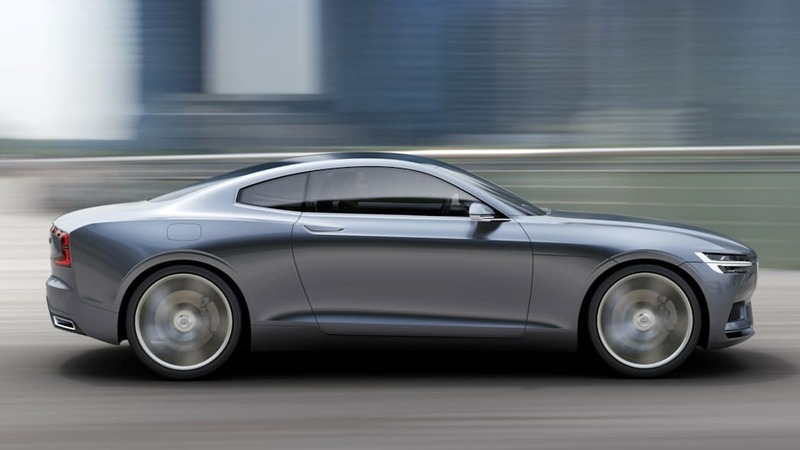 The side profile is dominated by a distinct bow that can be seen, in a slightly more mellow form, on current Volvo vehicles, and the broad-shouldered rear end is bracketed by slender C-shaped taillight clusters. The interior, too, is unique. A handcrafted crystal gearshift lever is a highlight, as is a large touchscreen laid out in portrait (as opposed to landscape). 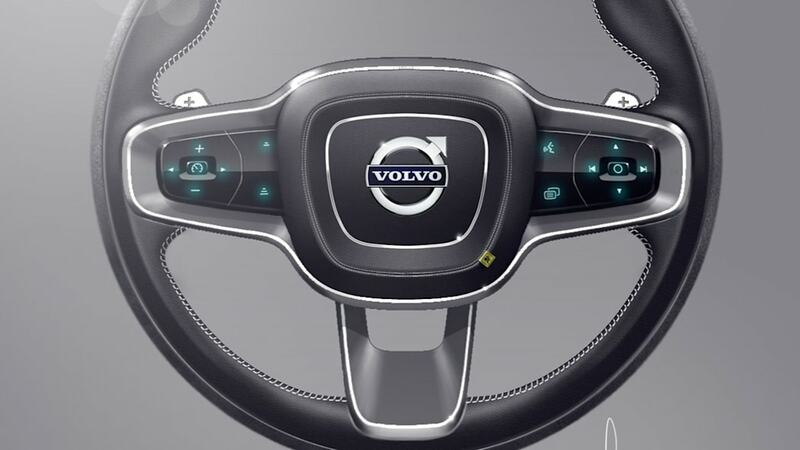 Volvo has removed as many physical buttons as possible, which certainly creates a smooth and attractive cabin, but we're curious to see how it all works in ergonomic terms. The first machine that will take styling cues from the Concept Coupe will be the 2014 XC90 crossover. 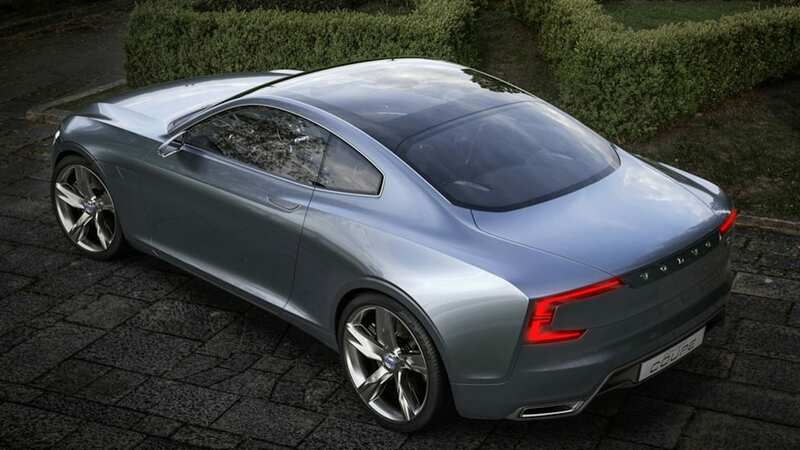 "The new Volvo Concept Coupe reveals how we could shape our cars from now on. 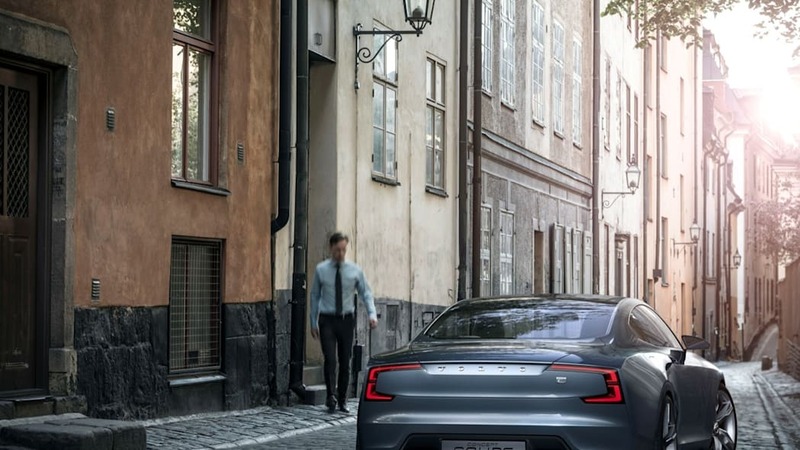 Free from the superficial surface excitement of other car brands, we add emotional value to the Volvo brand with the calm, confident beauty that is the hallmark of Scandinavian design," says Volvo Senior Vice President of Design Thomas Ingenlath. Not exactly fightin' words, but close. 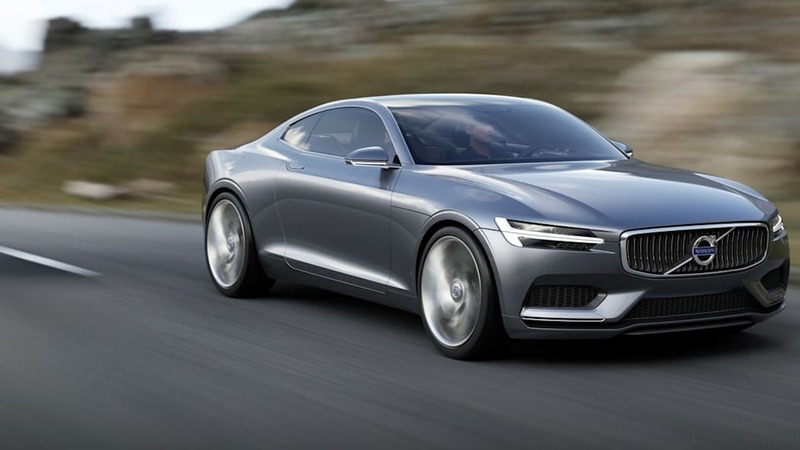 Somewhat eyebrow-raisingly, Volvo says the first machine that will take styling cues from the Concept Coupe will be the next XC90 crossover, which is slated to hit the market in 2014. 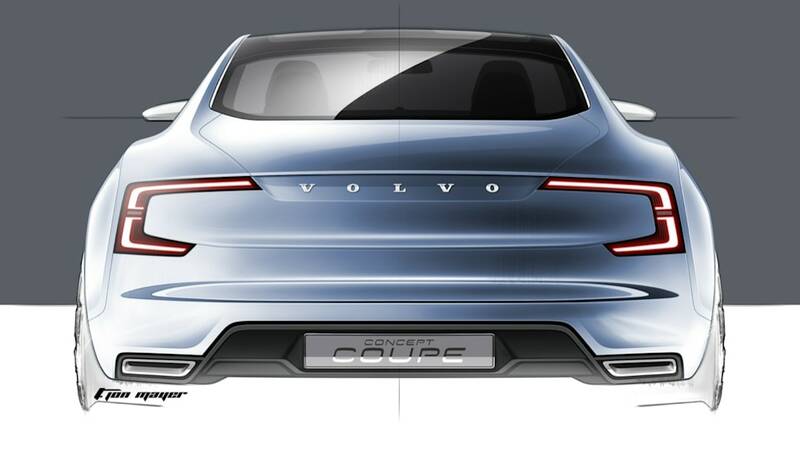 While the upright stance of a 'ute doesn't seem compatible with the sleek, low-slung lines of a coupe, the automaker assures in the press release below that, while "the all-new XC90 is an entirely different type of car, you will recognize the connection instantly when it is revealed next year." 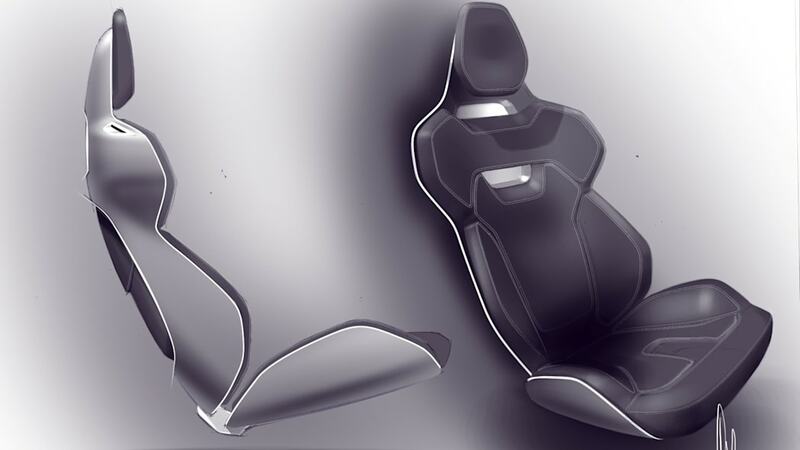 Making such design stretchability possible is Volvo's new Scalable Product Architecture. 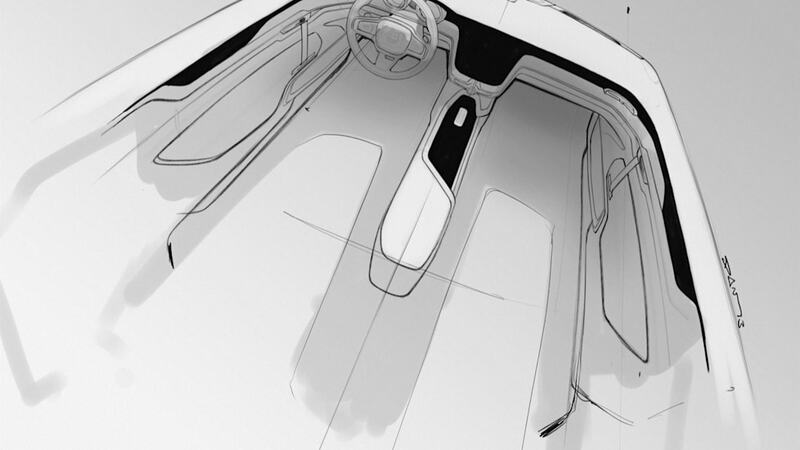 Specific elements that include a "generous" dash-to-axle ratio and a hip point that is "low enough to create a low profile on a sleek sedan without compromising headroom" are cited as defining factors of the new architecture. 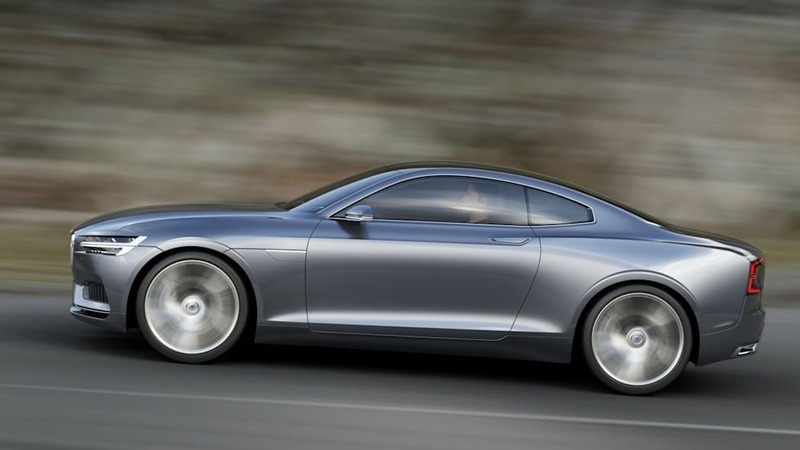 Volvo promises 400 hp and 443 lb-ft from the turbo- and supercharged plug-in hybrid. 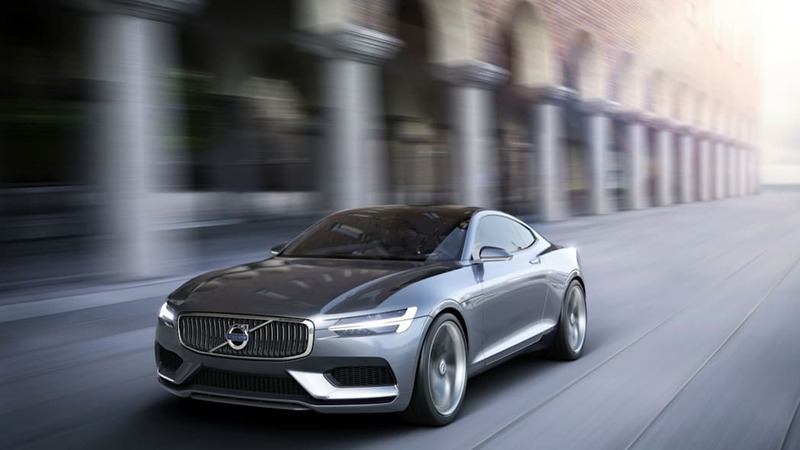 A four-cylinder gasoline engine makes up half the plug-in hybrid powertrain, and Volvo promises power levels on par with current V8 engines through the use of both a turbocharger and a supercharger. Combined output from the 2.0-liter engine that powers the front wheels and the electric motor connected to the rear wheels is around 400 horsepower and 443 pound-feet of torque. 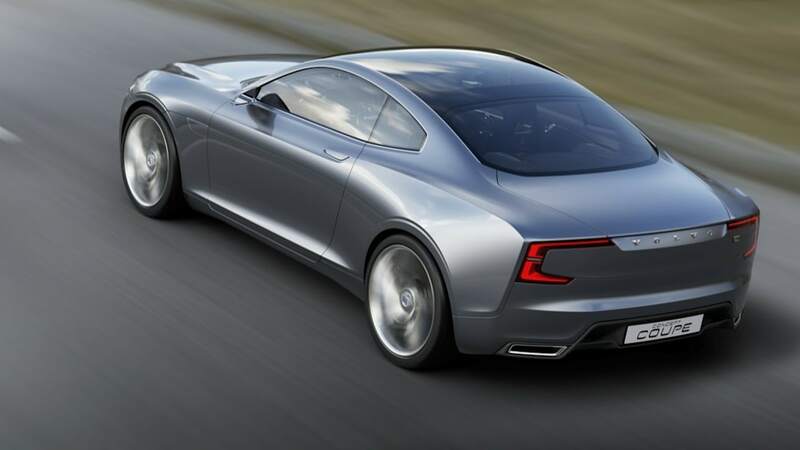 Scroll down for a video showing off the Volvo Concept Coupe, along with a press release that explains the design in much deeper terms. 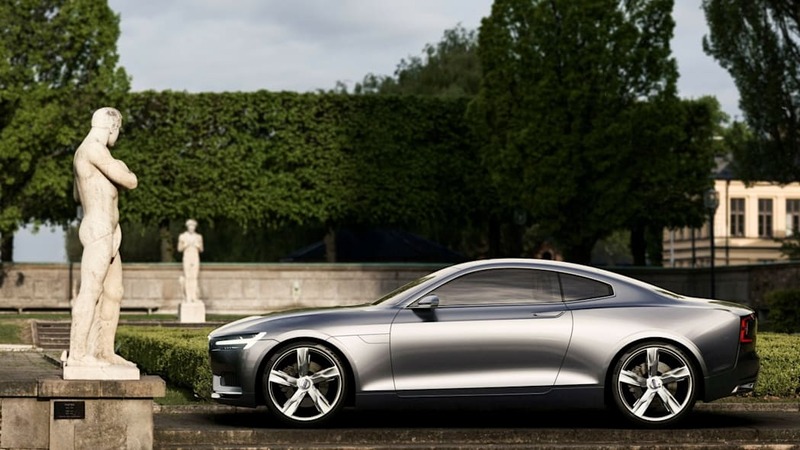 Inspired by contemporary, progressive Scandinavian lifestyle and design, as well as iconic elements from the past, the elegant new Volvo Concept Coupé is the first of a series of three concept cars that reveal the design possibilities created by the company's new Scalable Product Architecture (SPA). 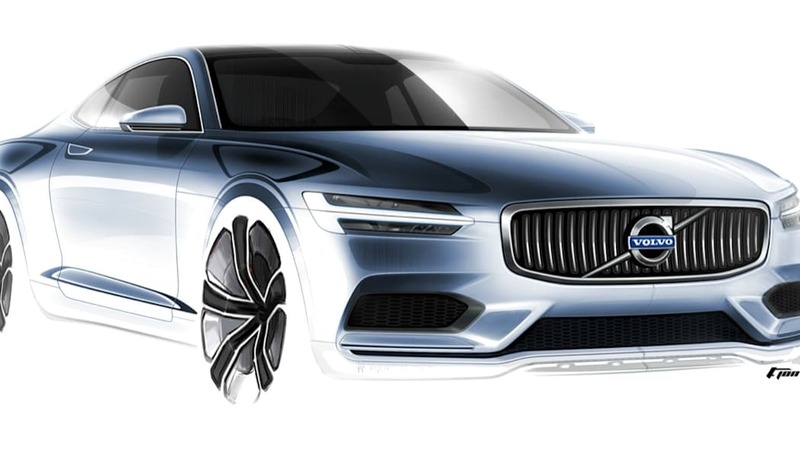 After more than a year of rising expectations, the first design by the new Senior Vice President of Design, Thomas Ingenlath, showcases how design builds emotion into the Volvo brand and points towards the next generation of Volvo models, starting with the forthcoming XC90 in 2014. 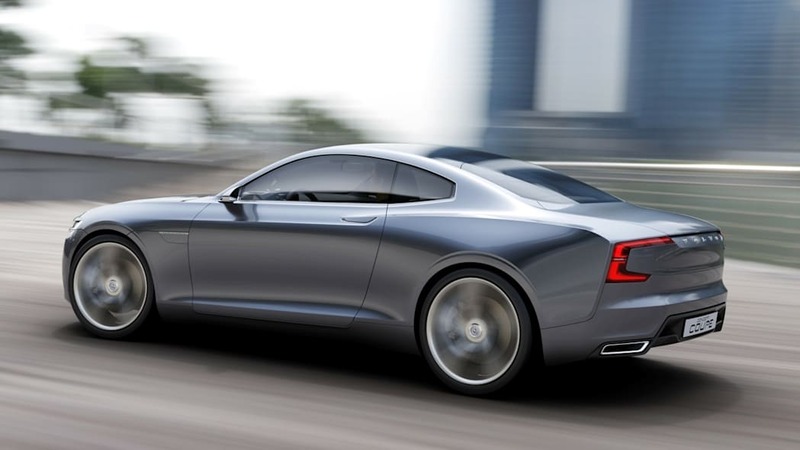 "The Volvo Concept Coupé is no futuristic dream car. 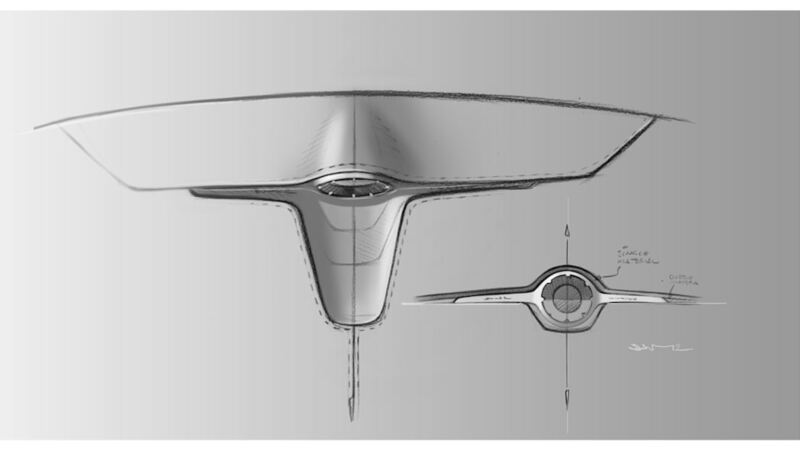 It is designed to demonstrate the capability of our new architecture: the confident stance, the proportions and the most prominent design signatures. 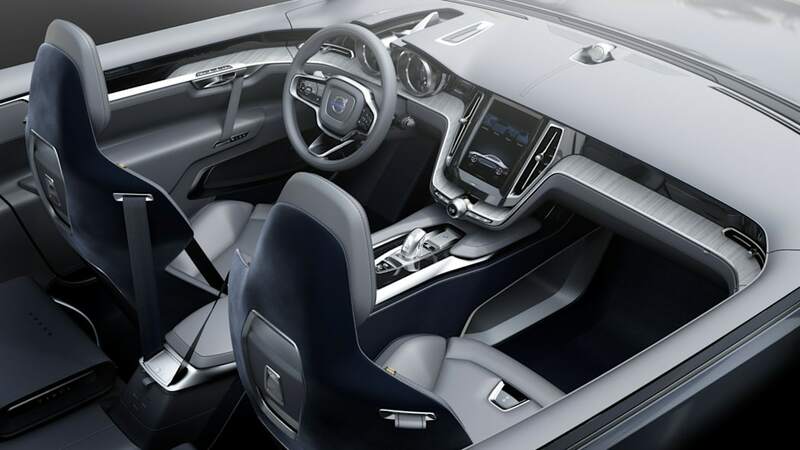 Even though the all-new XC90 is an entirely different type of car, you will recognise the connection instantly when it is revealed next year," says Thomas Ingenlath. A low bonnet, roof, and the five-spoke, 21-inch wheels also contribute to the impression of an elegant Gran Tourer oozing effortless power. The confident stance is emphasised by a beltline that spans an elegant bow along the whole car. "Think about the powerful calmness of a lion. He doesn't have to prowl to radiate respect. Even lying down he shows very clearly what he is capable of," smiles Thomas Ingenlath. 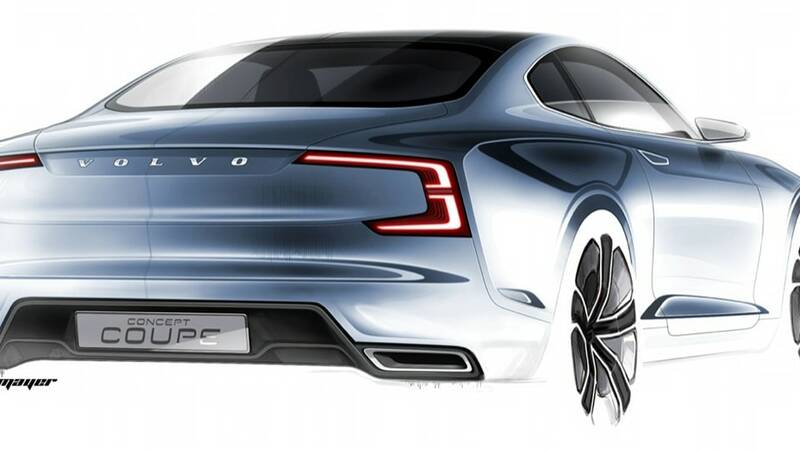 The face of the Volvo Concept Coupé is characterised by a new topography on the bonnet and the 'floating' grille, flanked by headlights featuring new T-shaped DRL light guides. 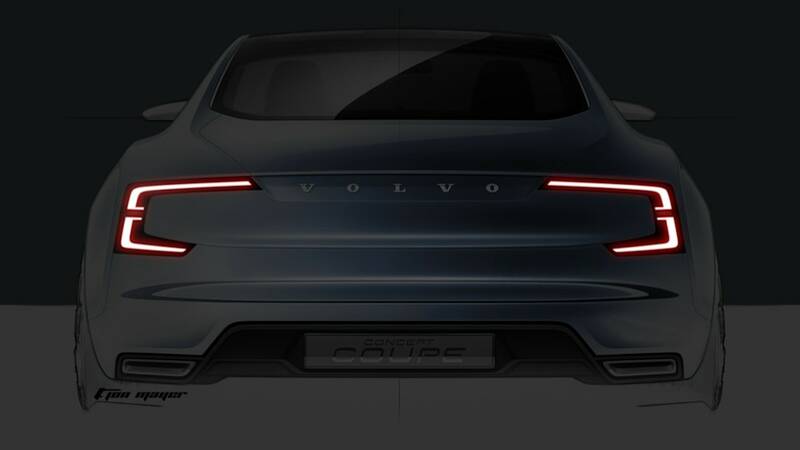 Just like the rear light signature, the DRL lights are distinctive elements in the new design direction of Volvo Cars. 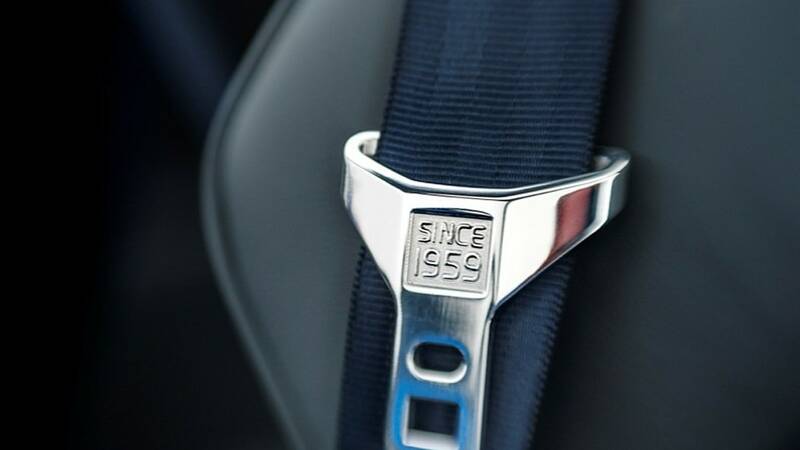 "The face is new, but it also carries more than 85 years of Volvo heritage with great pride. 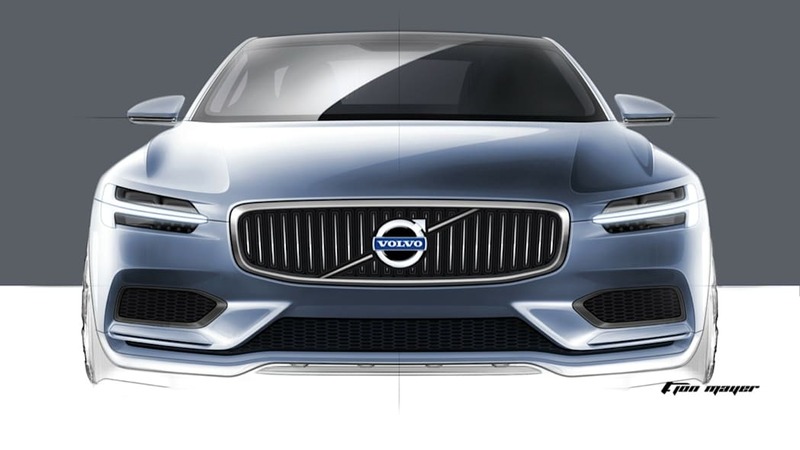 We are still working with the final interpretation of the grille and the iron mark and this will be revealed together with the XC90 next year," says Thomas Ingenlath. 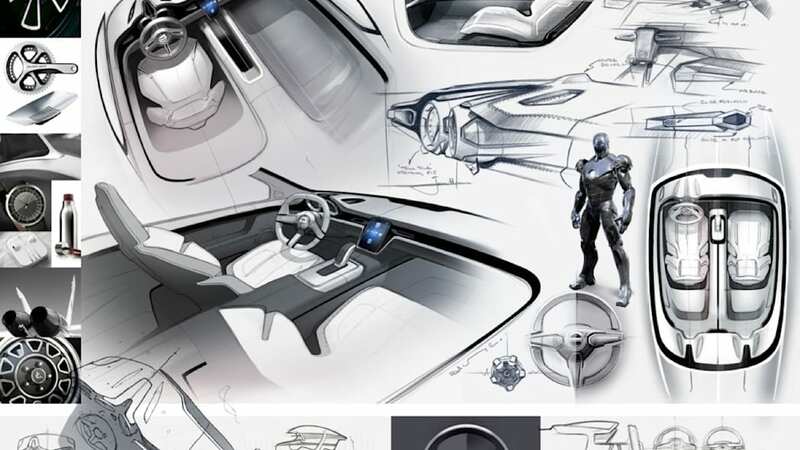 "It is a car designer's duty to reflect and incorporate design signatures that are vital parts of the company's heritage. The P1800 is an iconic Volvo, renowned for its beautiful forms and detailing. 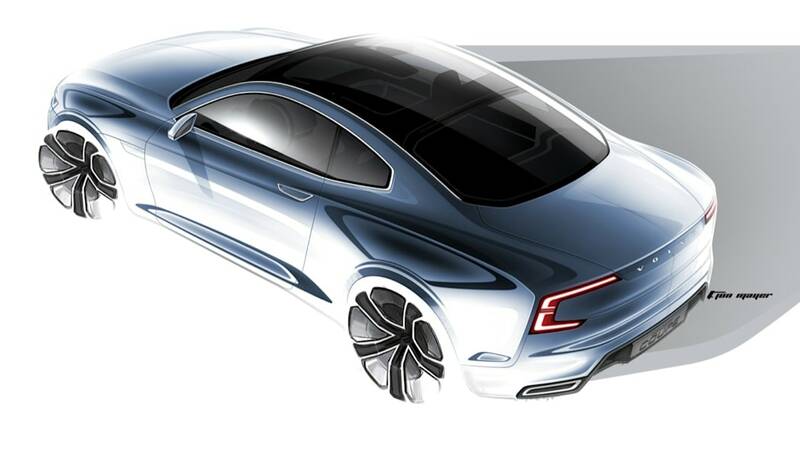 However, using elements from the P1800 exterior and interior has nothing to do with being retro. We are using these subtle links to a glorious past to create a future where sheer beauty becomes a recognised part of Volvo's identity. 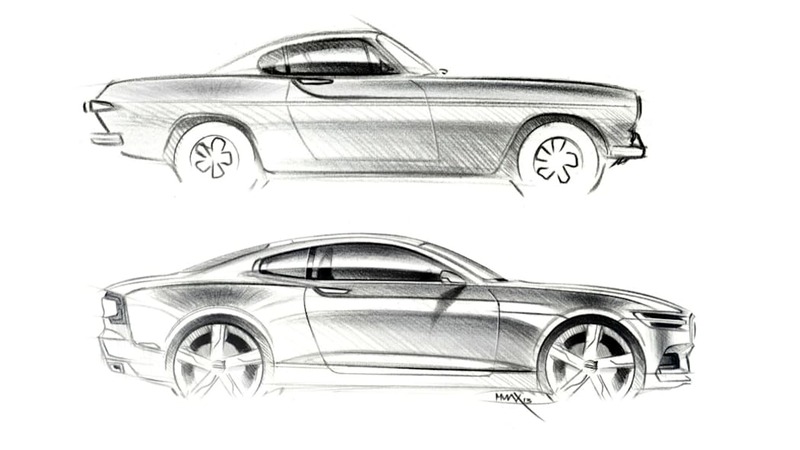 That journey starts with Concept Coupé," says Thomas Ingenlath. 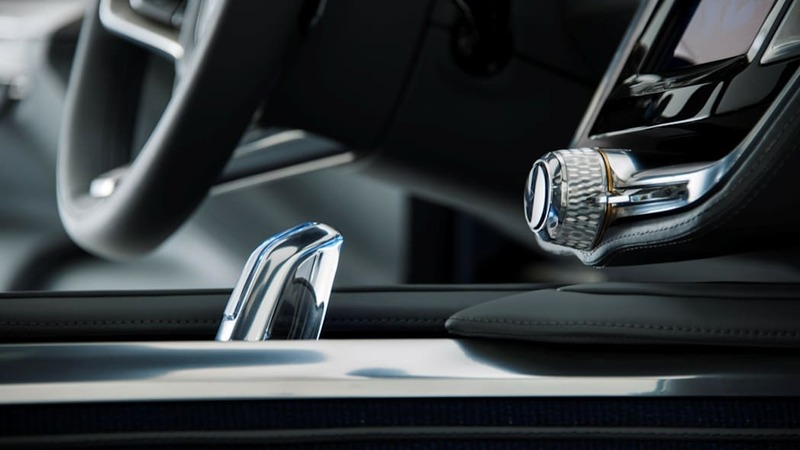 "To me, handcrafted crystal is one of the finest examples of high-quality Scandinavian design and I love the idea of bringing it into the car. 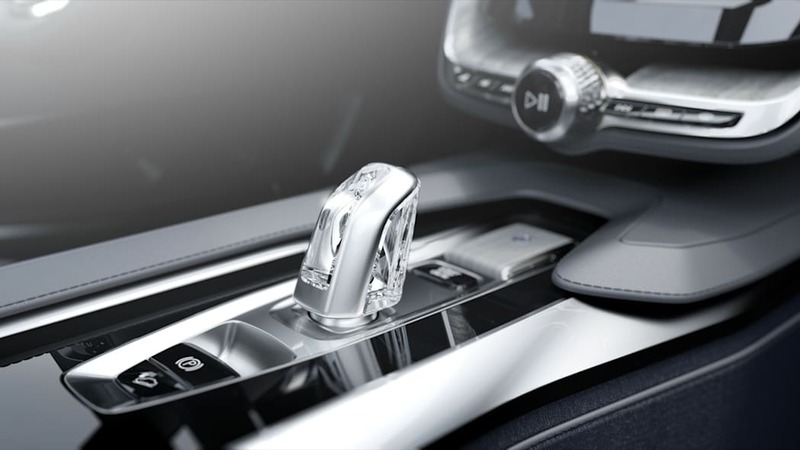 The prominent position of the gear-lever is the perfect place for this sparkling sensation," says Robin Page, Design Director Interior at Volvo Car Group. 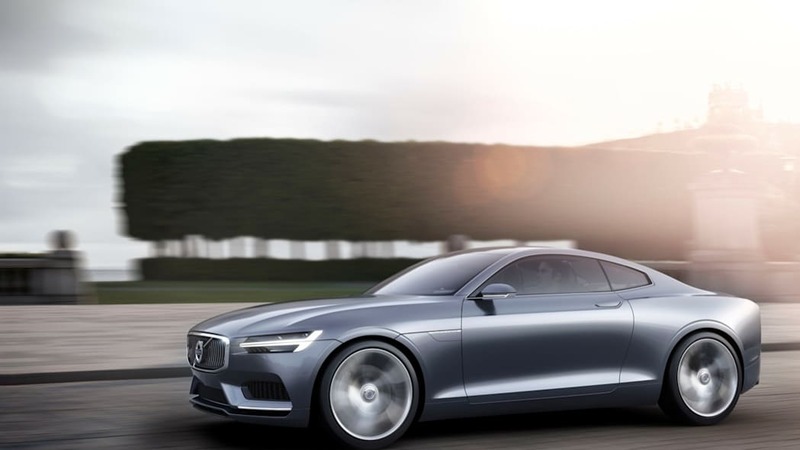 He adds: "The experience inside Concept Coupé is an excellent example of how we will make Volvo customers feel truly special." 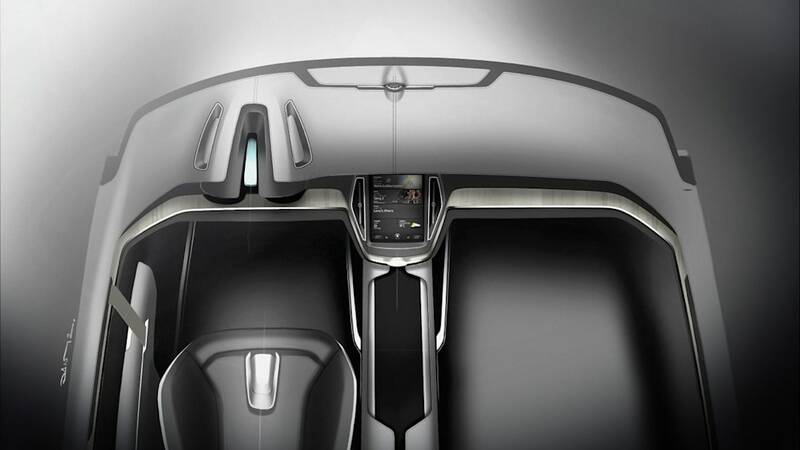 The concept car also includes a totally new approach to Volvo Cars' human-centric user experience. A large portrait touch-screen in the centre console interacts with an adaptive digital display and head-up display in front of the driver. 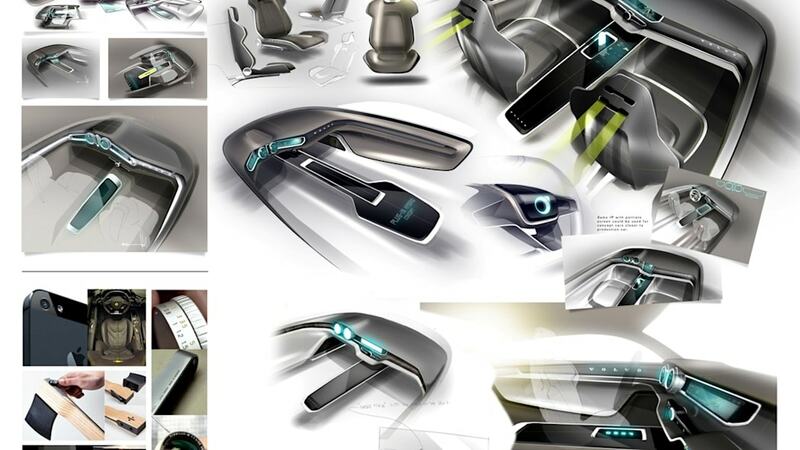 "This is a natural integration of user interfaces in our new car generation. Interaction with pleasure but without distraction is the key. 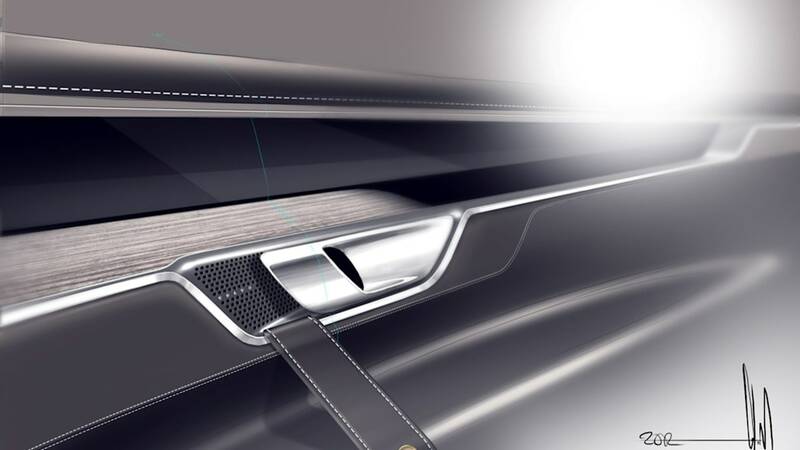 We bring connectivity into our cars to make them both more enjoyable and safe," explains Thomas Ingenlath. 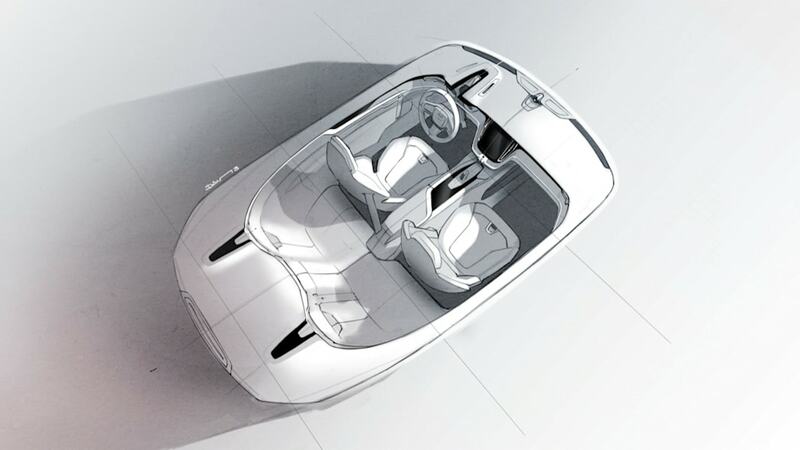 The Scalable Product Architecture is also being prepared for completely autonomous driving. 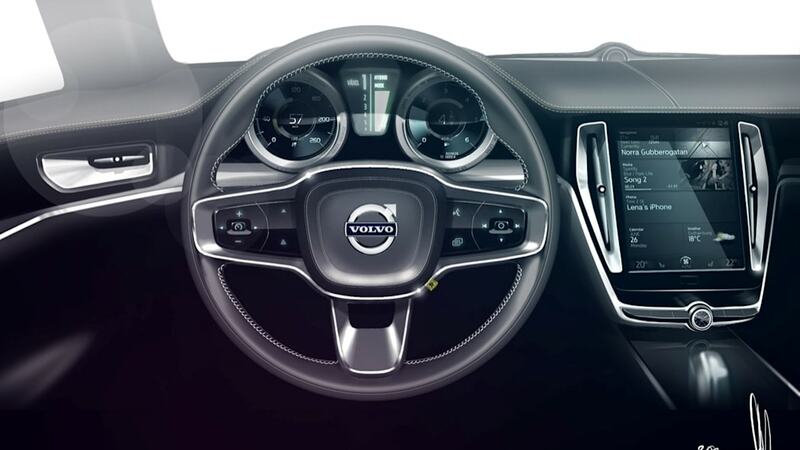 The first features with autonomous steering to avoid accidents and make driving more comfortable will be introduced in 2014 – and Volvo Cars' aim is to have cars with fully autonomous technology out on the roads before 2020. 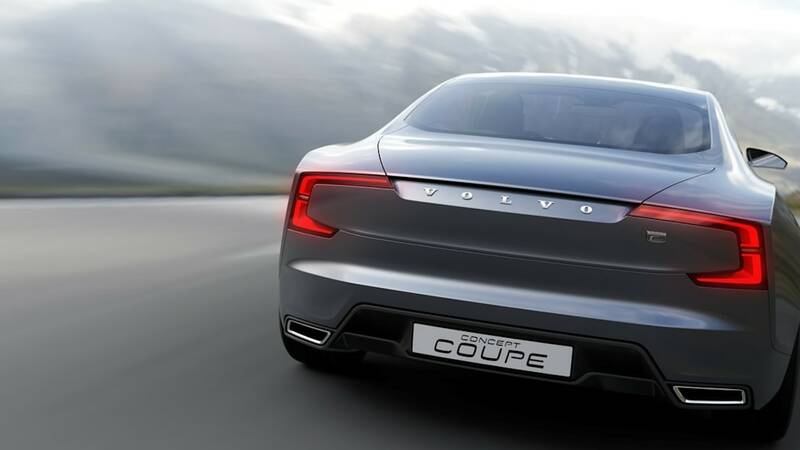 The petrol plug-in hybrid driveline in the Volvo Concept Coupé reflects Volvo Cars' strategy to use electrification to create the most powerful versions in the new four-cylinder Drive-E engine family. This will take power figures up into V8 territory. The work of Thomas Ingenlath has been one of the best-kept secrets in the automotive industry for over a year. Until now. 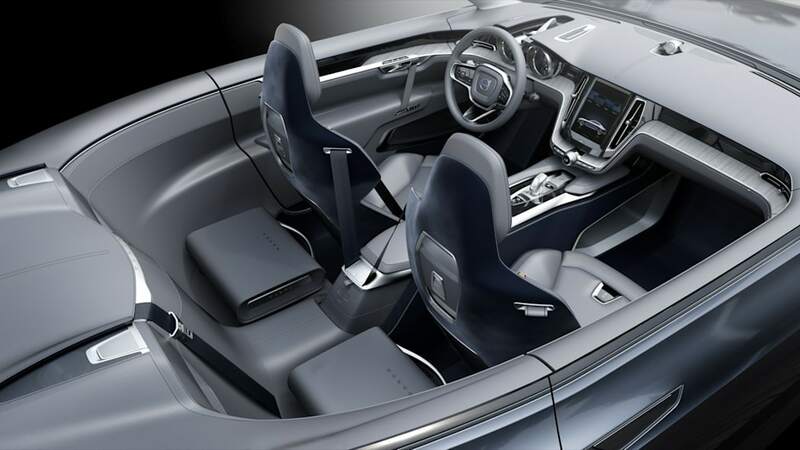 "Volvo Cars was already transforming rapidly when I joined the company in 2012. My team and I have focused on creating a new interpretation of the design language. It will help taking this great brand in the desired direction," says Thomas Ingenlath. 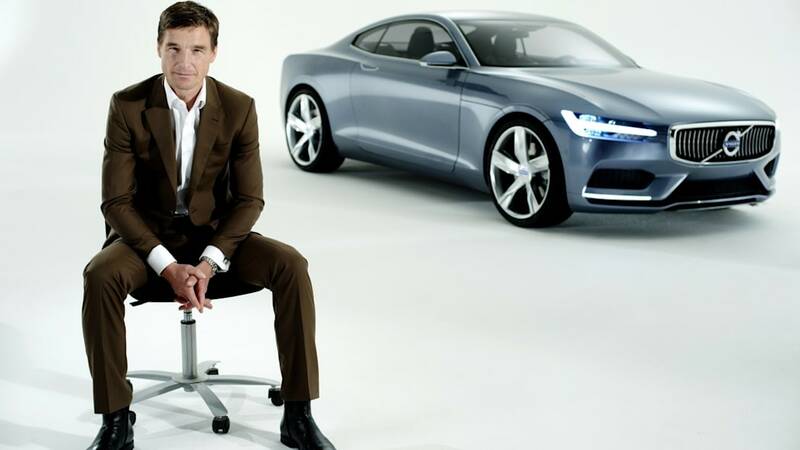 This is how Thomas Ingenlath expresses the new design direction for Volvo Cars. "Everyone that knows me well would agree that Volvo is a perfect match for me. I have never been an instant crowd-pleaser who likes fast and loud designs. I am thoughtful. I like to explore the intellectual elements below the surface. If you do that right, the aesthetics will come naturally." 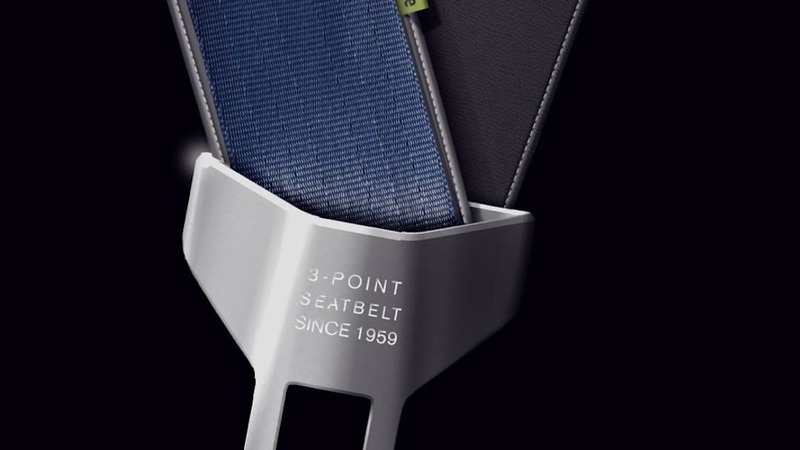 "Volvo is a human-centric brand with an exceptionally strong heritage. It is exciting to create a new design expression that supports the established brand values as well as the repositioning towards a more distinctive premium brand." What's your view of Scandinavian Design? 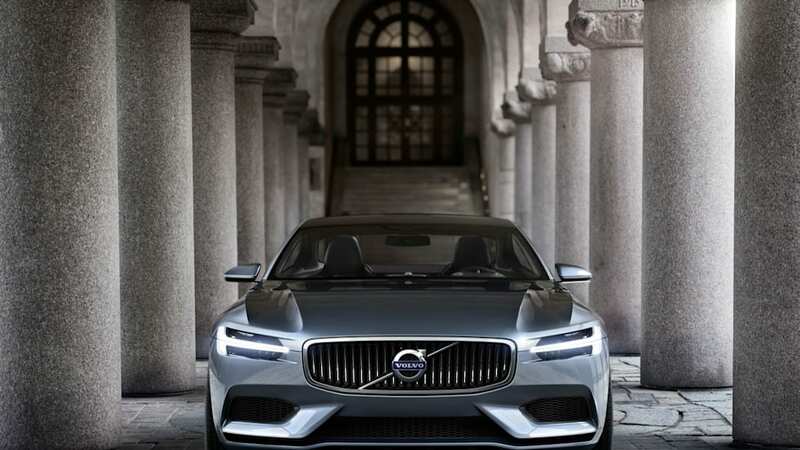 "Well, since Volvo Cars is the only remaining automotive brand in Sweden, we are by definition the only carmaker that can create original Scandinavian Design. The challenge is to create a modern, desirable interpretation." 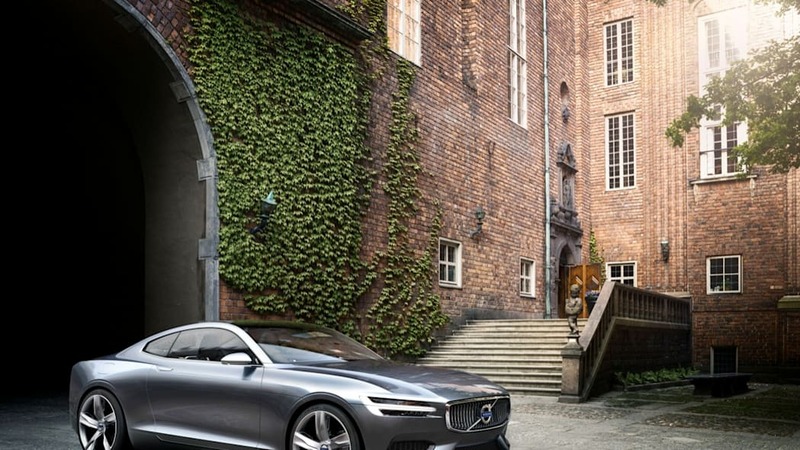 "To me, Scandinavian Design according to Volvo is firmly rooted in the values of the Swedish society and the way of life enabled by this unique environment. 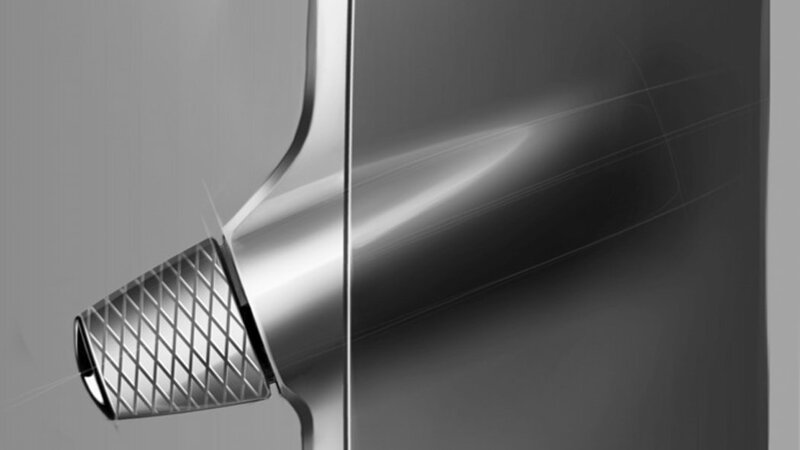 Our approach goes beyond just bringing Scandinavian design items and signatures into our cars. Our job is to understand the spirit and the confidence that make Scandinavian design so special. 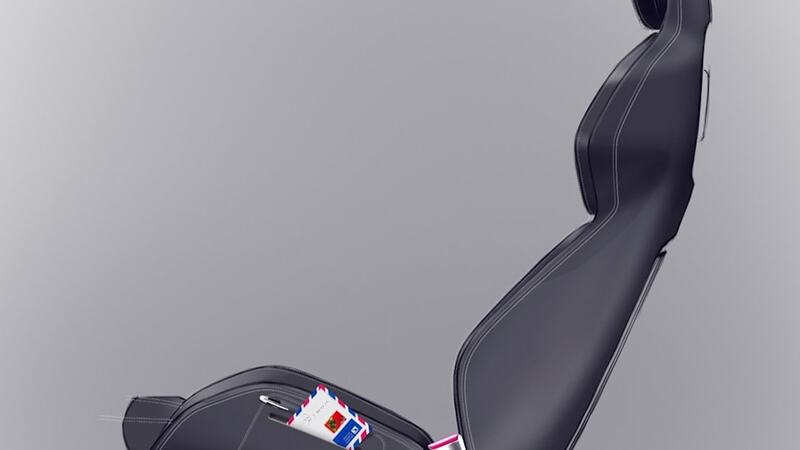 Then we must translate it into car design." "It is important to recognise that Scandinavian design will only be perceived as attractive if it is crafted with precision and attention to detail. 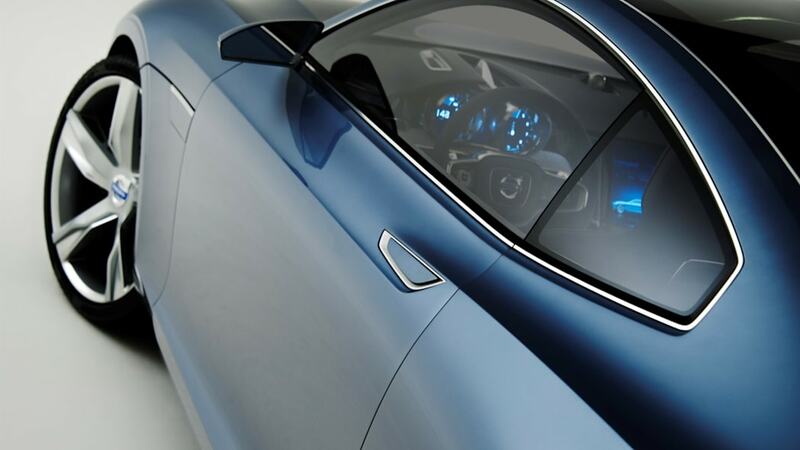 Meticulous execution and consistent quality are prerequisites to qualify for the premium league of automakers." Explain the new design direction. 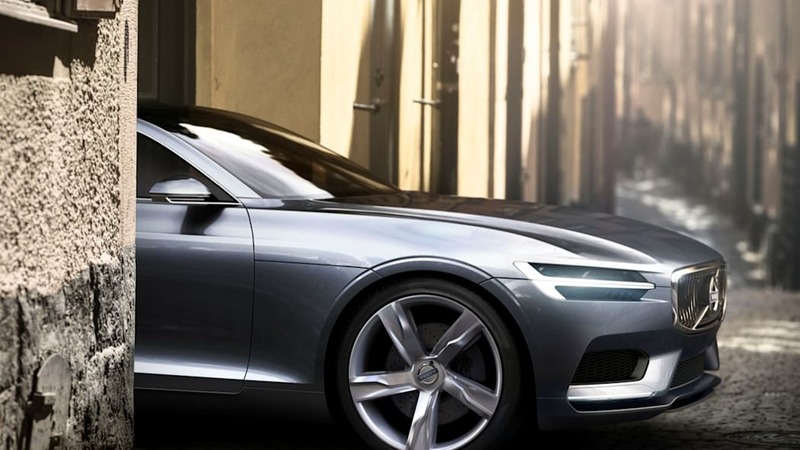 "In my opinion, Volvo design has always had a certain authority. We aim to extend this calm, intelligent and strong side of our brand with a greater potency, modernity and expressiveness. 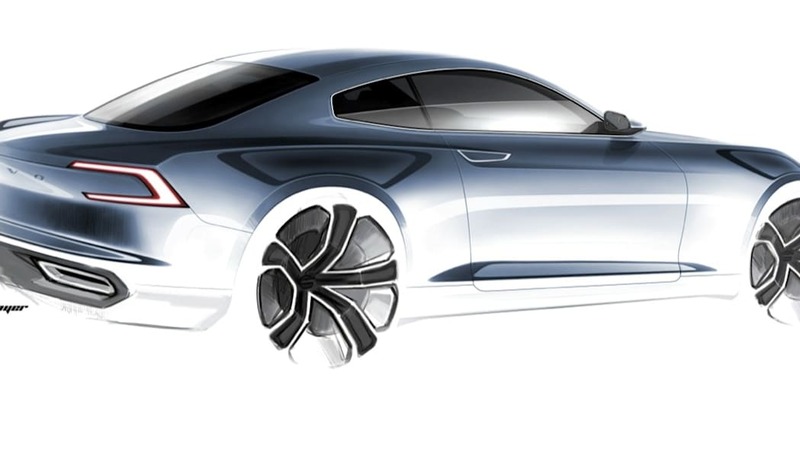 Concept Coupé clearly expresses this direction." "Outdoor activities are an important part of the Swedish lifestyle. 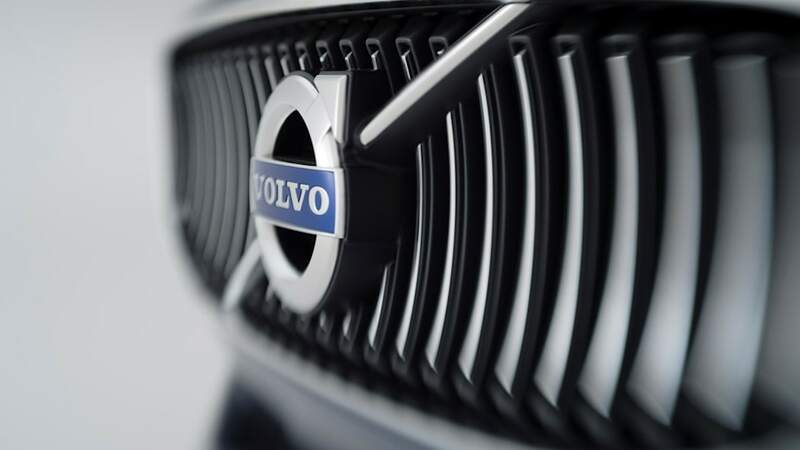 We will continue to refine Volvo's strong connection to these activities with more emphasis on modernity. It's about making functionality an emotional experience. 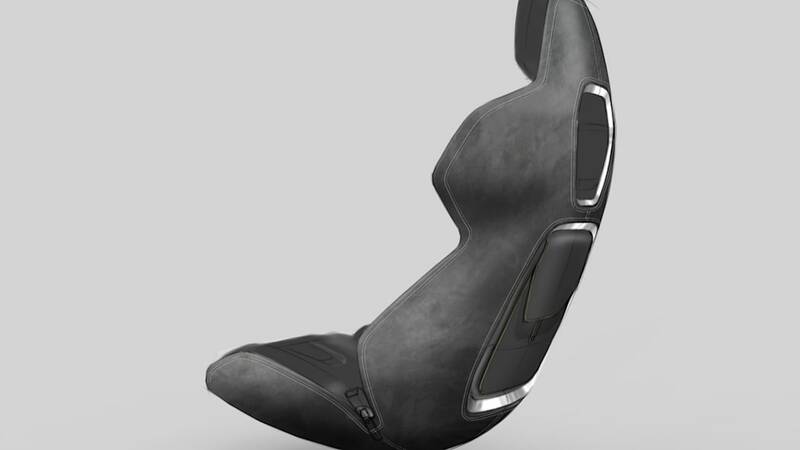 Just like an exclusive goose down jacket, our cars will have a true feeling of sophistication with an underlying strength and capability." "Creativity is thriving in the Swedish society. This includes design and technology as well as the fashion, music and art scene. We use this as an inspiration for creating a new kind of attainable luxury. 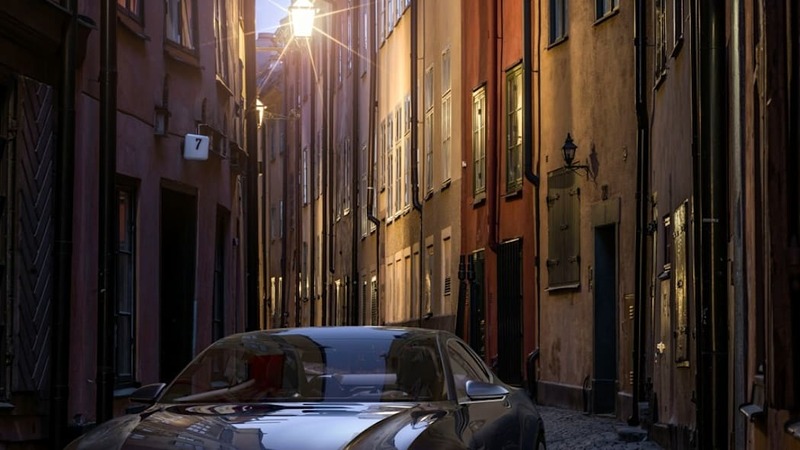 Our future cars will show that there are new, exciting ways to express the soul of Sweden." What opportunities does the new Scalable Product Architecture create for the designers? "The new architecture enables us to create the great proportions that are important to achieve a premium look. The dash to axle ratio is more generous than any other architecture I have worked with before. This gives us the opportunity to be up there among the top premium brands when it comes to proportions." "The hip point is another example of the new opportunities. 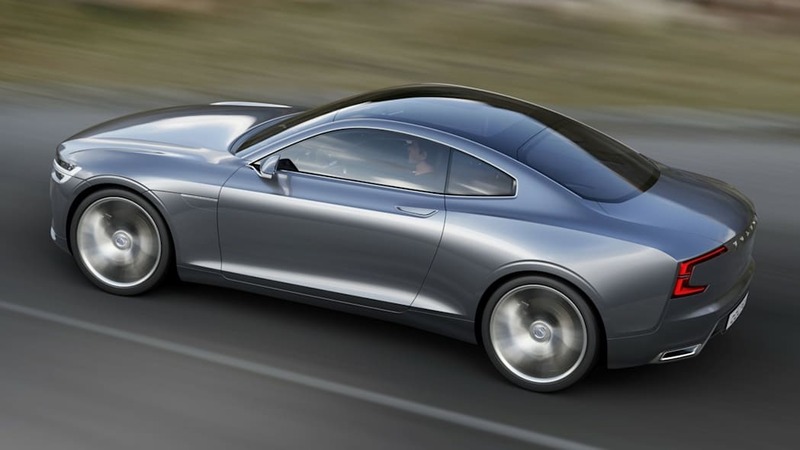 It is low enough to create a low profile on a sleek sedan without compromising headroom." Which are the most the most prominent new design signatures? 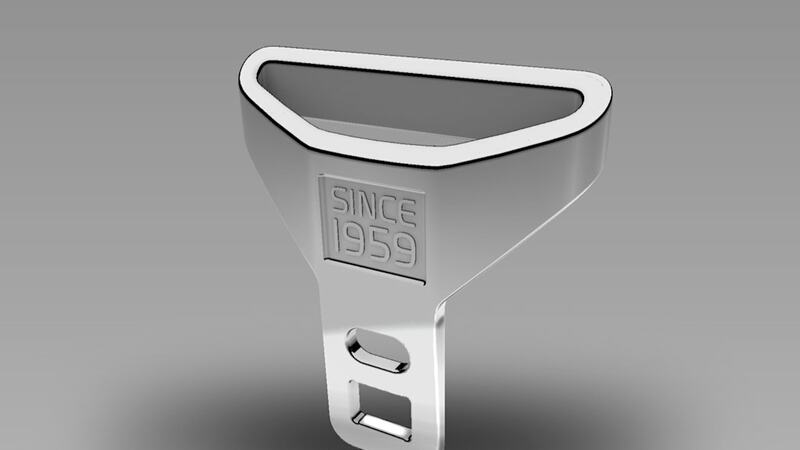 "Every strong brand needs a set of visual keys that makes it unique. 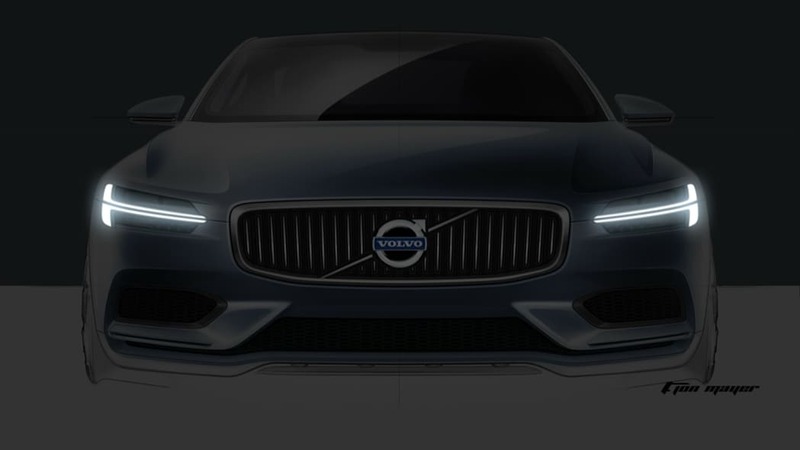 Future Volvos will be characterised by the distinctive iron mark in the floating grille, flanked by the T-shaped DRL lights. 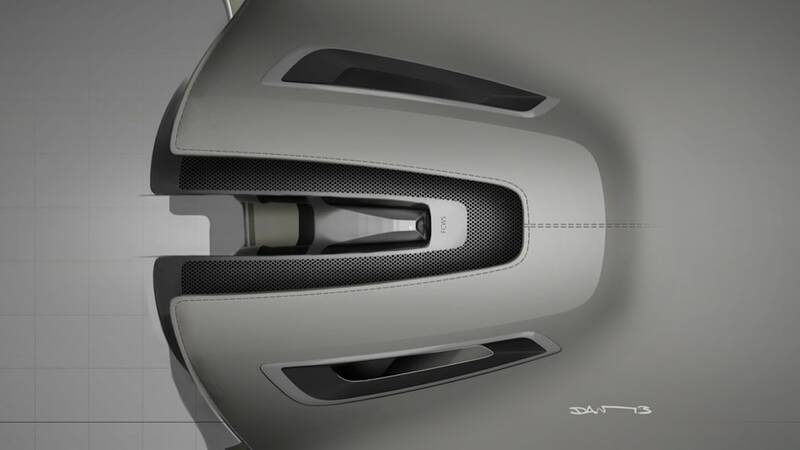 The larger bonnet with its new topography, the beltline spanning an elegant bow along the whole car and the sharpened shoulder connecting with the new rear light are other important design signatures. They all contribute to the confident stance. The overall simplicity, both exterior and interior, has a strong connection to the Scandinavian lifestyle." "We will continue to build on the premium feel in the new Volvo V40. The new user interface with a large, portrait touch-screen in the centre console allows us to remove almost all buttons. This simplicity is perfectly in tune with our Scandinavian design heritage. It opens up clean surfaces that give us the opportunity to create a luxurious interior experience with new forms." "We will deliver on our brand promise to make Volvo customers feel special by blending classic handcrafted elements with distinctive, surprising delight details." 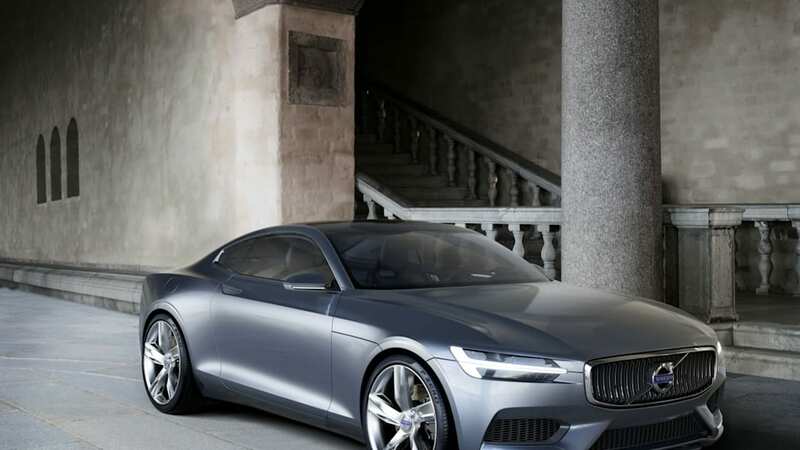 The Volvo Concept Coupé is the first expressive interpretation of a new brand direction where design has an elevated strategic importance to deliver more emotion into the Volvo brand. 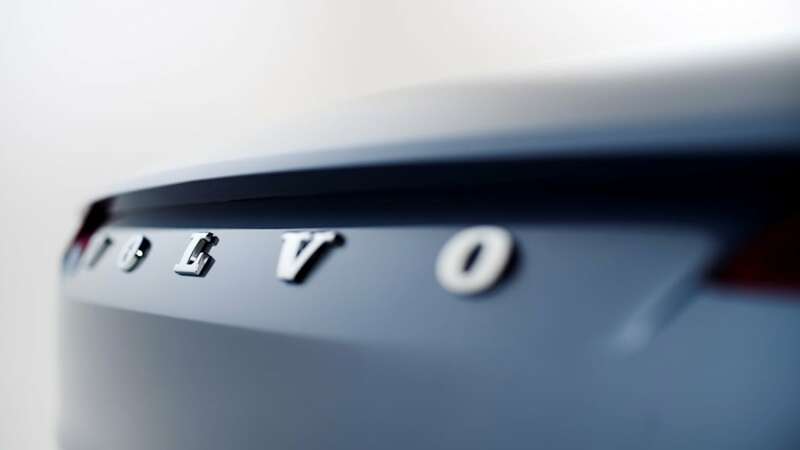 "Our transformation plan includes a commitment to create a more premium vision of Volvo Cars. 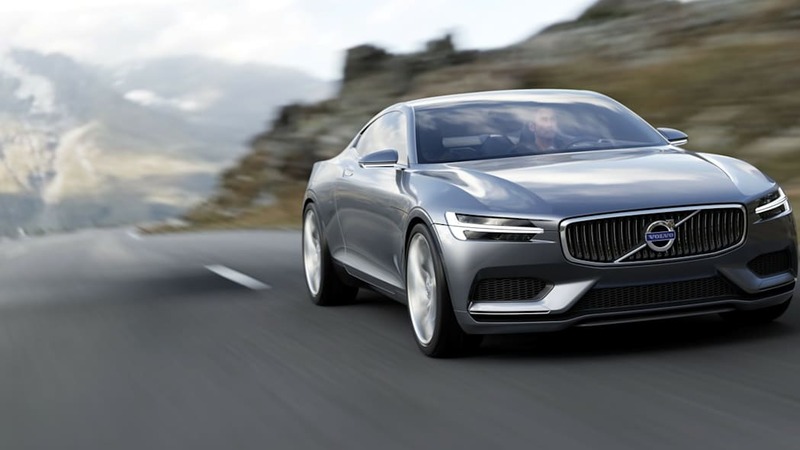 Releasing the emotional power of our human-centric design heritage is one of the key elements in this strategy," says Alain Visser, Senior Vice President Marketing, Sales and Customer Service at Volvo Car Group. He adds: "A more premium image is vital to gain momentum in our journey towards an annual sales volume of 800,000 cars. It also supports our price position versus our main competitors in the premium segments." The introduction of the Volvo V40 in 2012 was the first step in this direction. 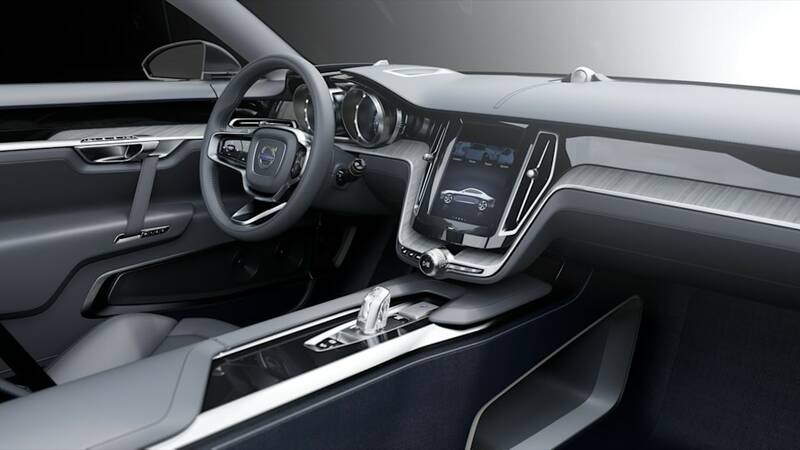 The positive media and customer feedback emphasises that Volvo Cars is running with the best in several important areas, including design. The upcoming introduction of the new scalable architecture enables the company to accelerate the transformation. 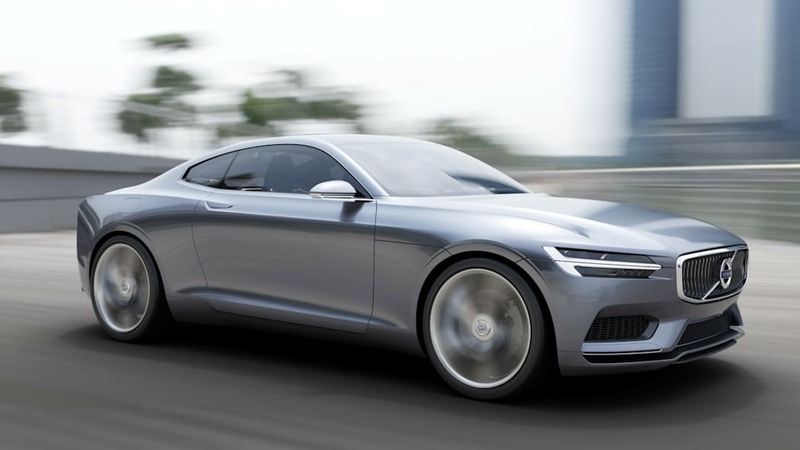 The Volvo Concept Coupé is the first of a series of three concept cars that demonstrate the design possibilities created by the new Scalable Product Architecture (SPA). They pave the way for the introduction of the all-new Volvo XC90 in 2014. 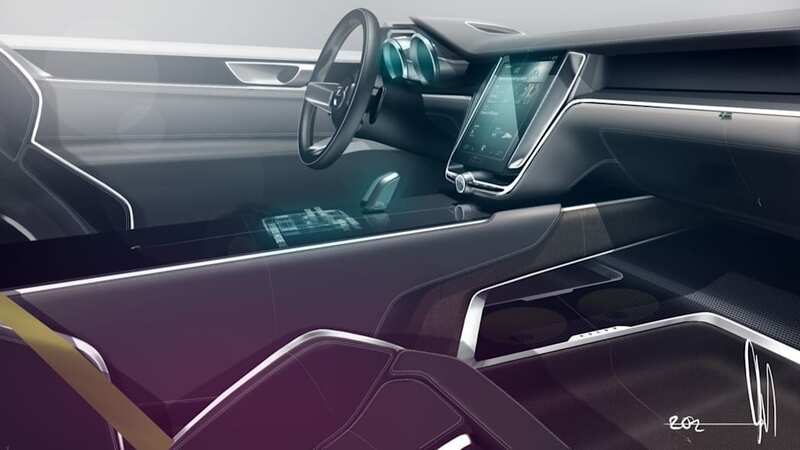 The new in-house developed architecture and engine programme are the enablers for a stronger emotional expression of the brand, both when it comes to the exterior design and a new approach to the interior, user interface and connectivity. "Volvo's unique human-centric approach and the aim to inject more emotions into car design are perfect partners. 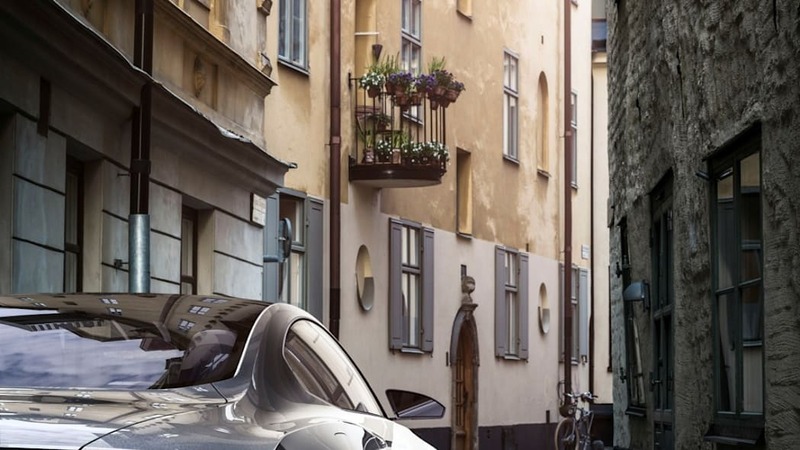 Volvo Cars' caring, human-centric values are an integrated part of the Scandinavian culture and lifestyle. 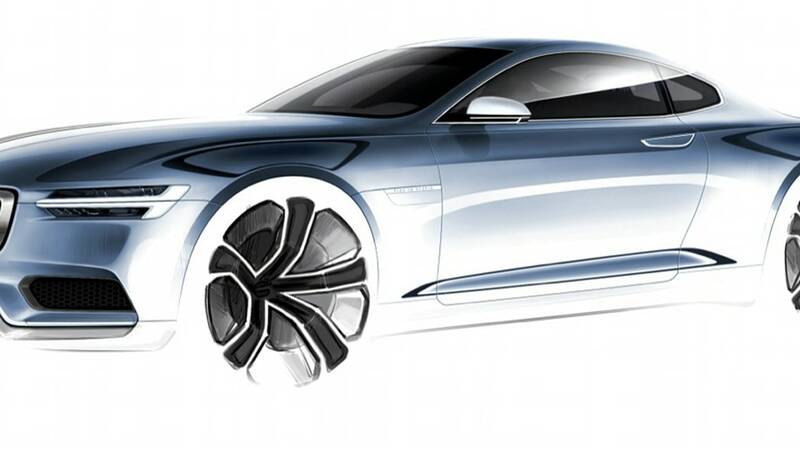 The challenge is to express this with a bolder, more distinctive design that is an all-important customer criteria for premium cars," says Thomas Ingenlath. Truly premium brands are based on a complex mix of rational, qualitative parameters and strong emotional values that create desirability – and there are several examples of brands that have moved from mainstream to premium through a stronger focus on design. "Case studies of brands that have made a similar journey to ours give us valuable input into the mechanisms that trigger the consumer's perception of premium. 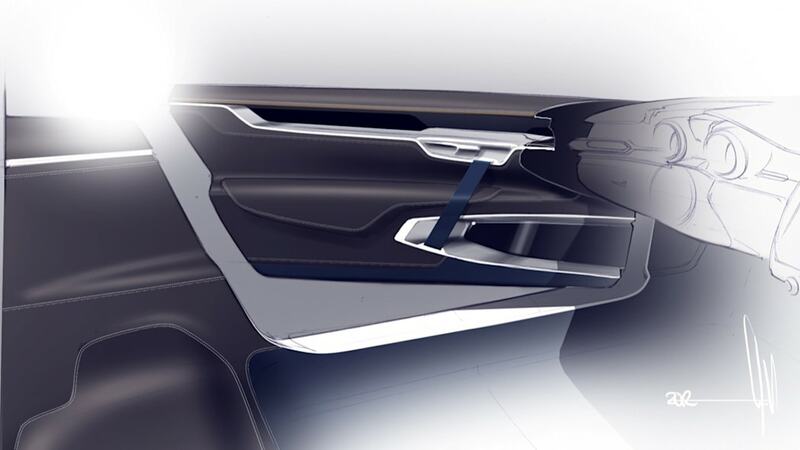 This, together with our own studies of people's views of Volvo Cars, becomes a valuable base for our design development," says Alain Visser. 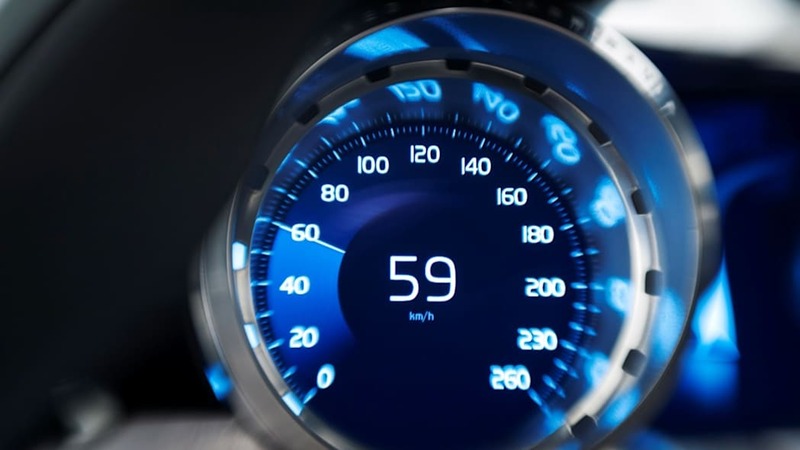 Focus on safety has moved from offering protection in worst-case scenarios to creating features that support the driver and enhance the user experience. Modern environmental care is able to combine low emissions and reduced fuel consumption with an enhanced driving experience – for instance through ingenious plug-in hybrid technology. The classic functionality has moved beyond being practical. 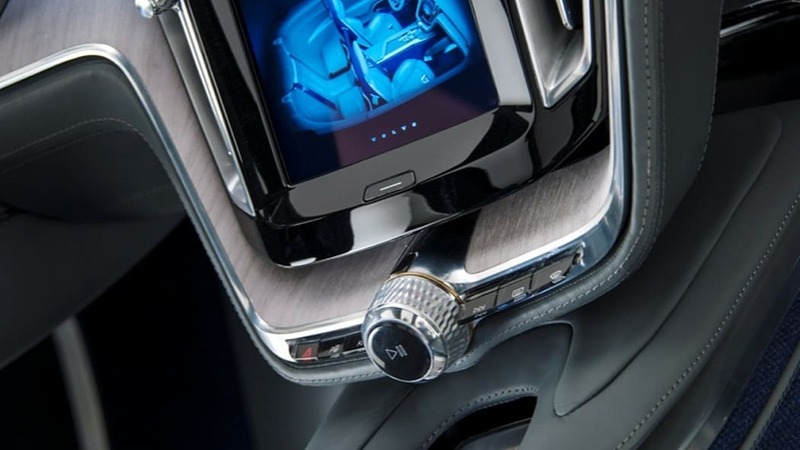 Volvo Cars' approach is to create human-centric features that actually make today's hectic life easier for the user. "Reliable functionality has always been a no compromise prerequisite for Scandinavian designers. Up here, designs have to deal with a harsh reality that demands meticulous attention to detail and quality," says Thomas Ingenlath. He concludes: "Combining this with a distinctive design language that is inspired by this unique Scandinavian environment will give us a competitive edge that none of our competitors can match. You could say that we will continue to do what Volvo always has done. We will just do it much better and make it much more emotional."